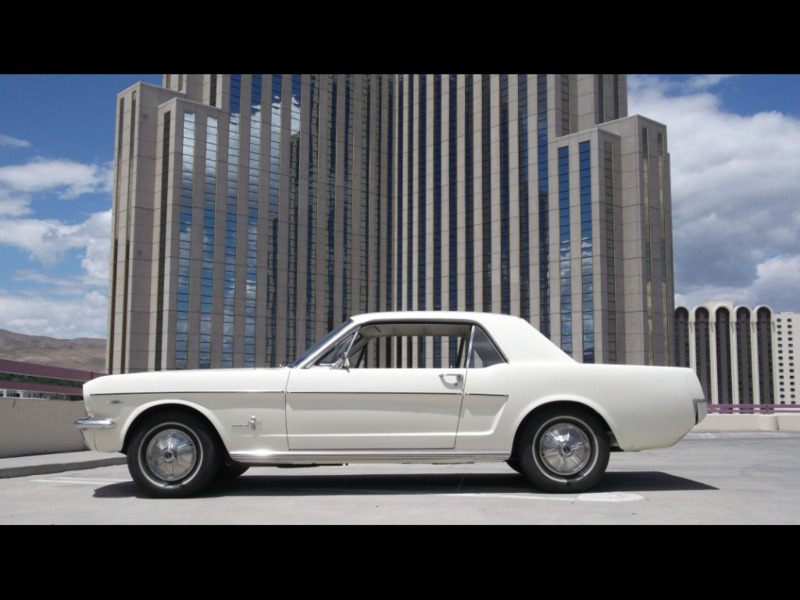 1965 Ford Mustang coupe with white exterior, white vinyl interior. 289 cu in V8 (C-Code), 3 speed manual transmission and power steering. This Mustang Coupe runs and drives very well and is in very nice condition. This west coast Mustang has had one owner since new. This is a super nice original example with minimal restoration work done. A true survivor. Please call with any questions, David 775-843-2549 or Sharon 775-848-9630.